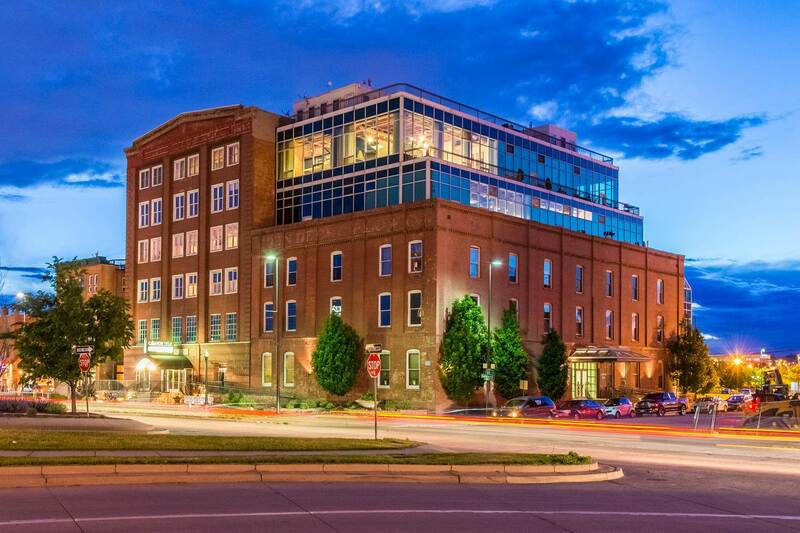 Have you ever noticed this building at the corner of the Auraria Parkway and Speer Boulevard? 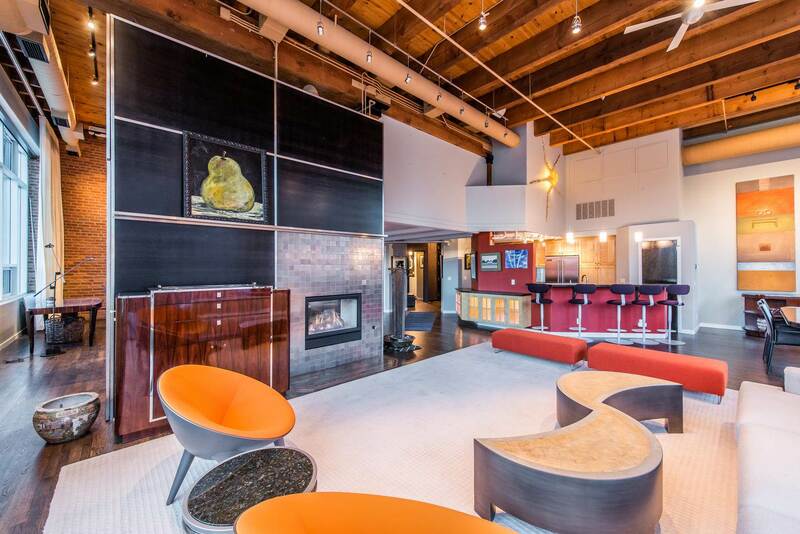 A one-of-a-kind condo on the top floor is for sale. 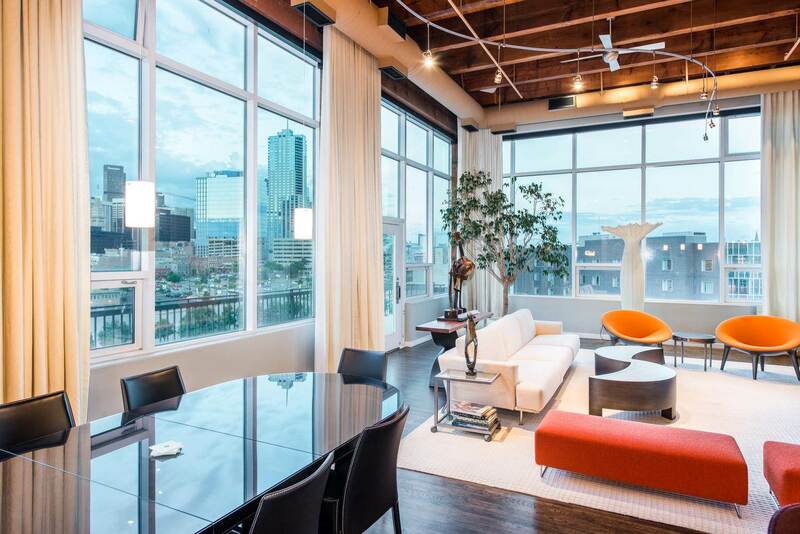 The 3-bedroom, 3-bath unit showcases walls of windows that frame breathtaking views of the city. 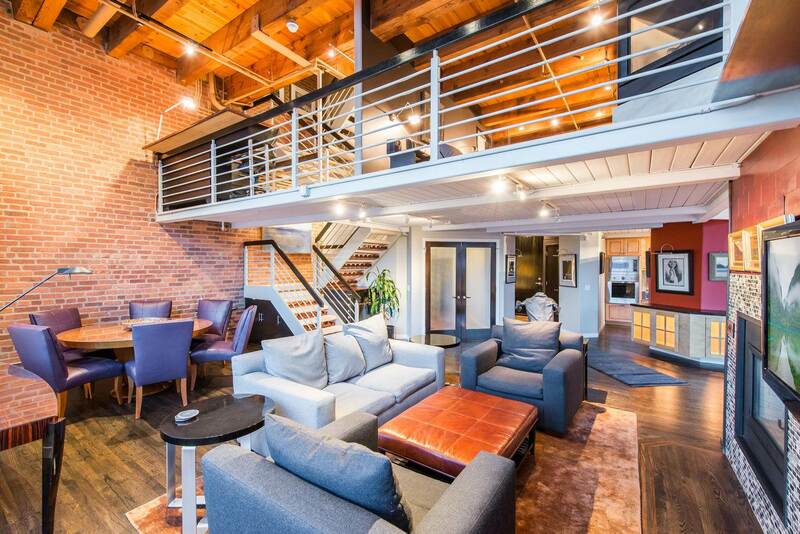 The open living room features 15+ foot ceilings with exposed brick & timber. And take a close look at that staircase. 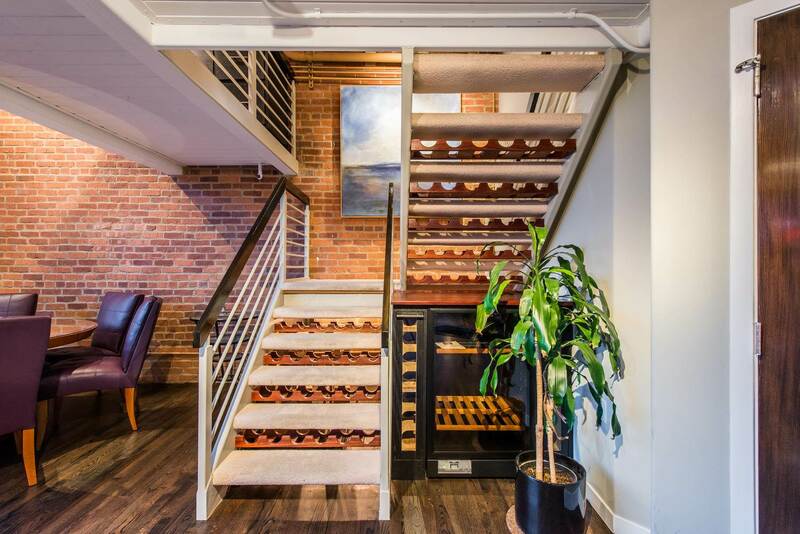 Or should we call it a staircase-slash-wine-rack? 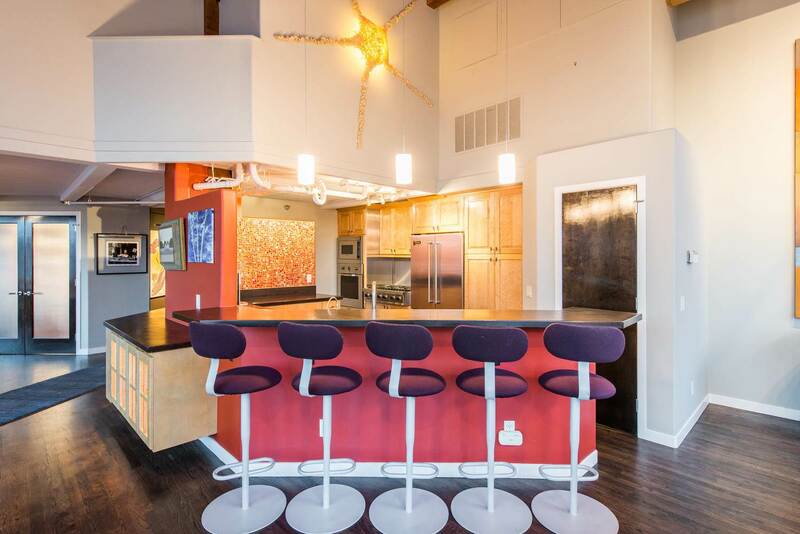 Take a few steps into the open kitchen/dining room space with a view. The open nature of the space lends itself to entertaining, while allowing for more intimate relaxing in the additional seating and dining areas. 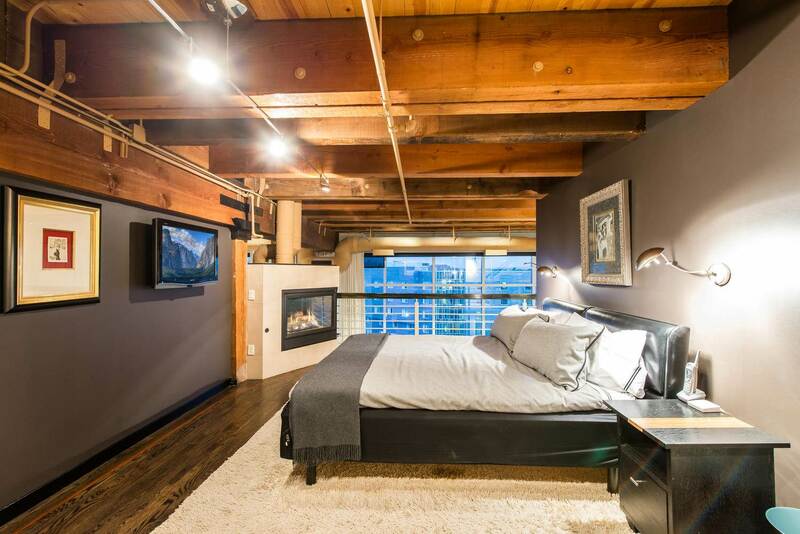 Here's the room from another angle. The home features 2,953-square-feet. On the other side of that fireplace is another room. 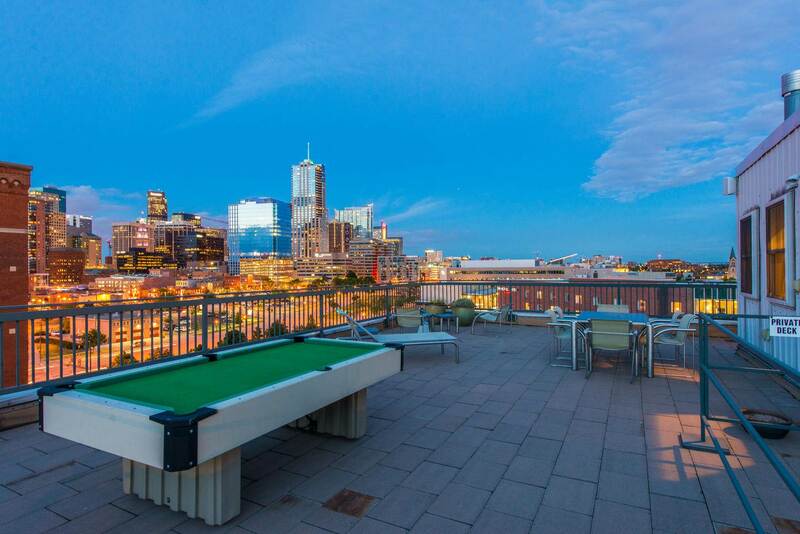 Here you really get to see those 15-foot tall windows and the views of downtown Denver. 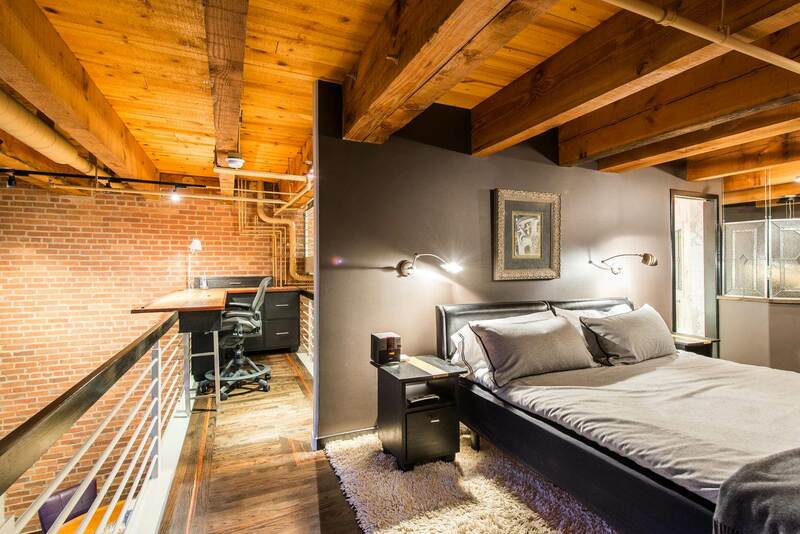 There's an office area between the bedroom and the staircase. 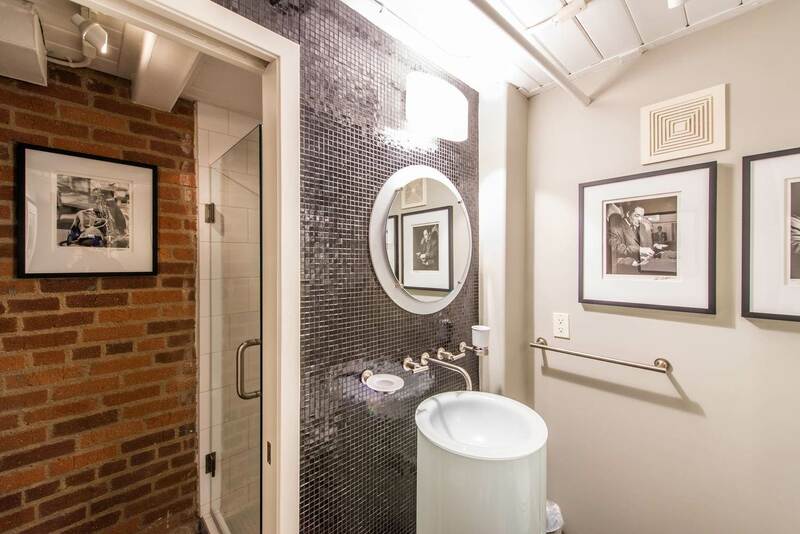 And don't miss the spa-like on-suite baths. 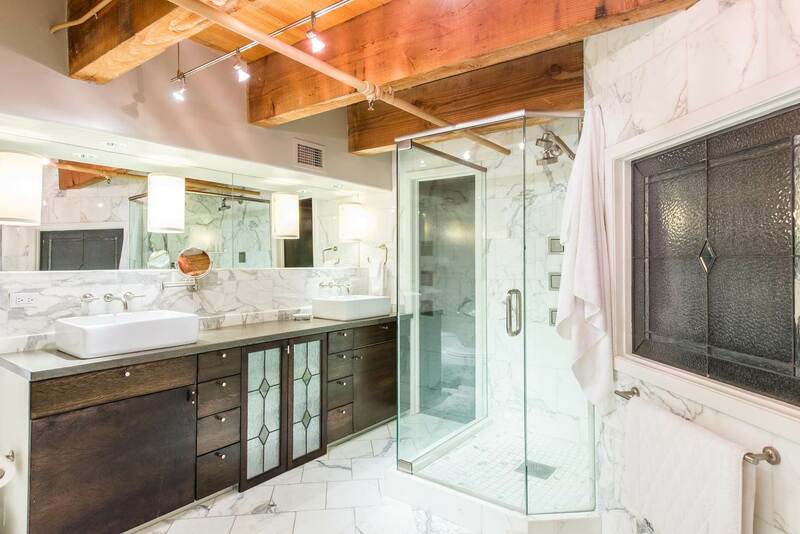 Carrara marble, free-standing soaking tub, frameless glass shower doors & unique custom vanities exude contemporary sophistication, LIV Sotheby's International Realty said. Here's a view of one of the custom and unique vanities. The condo also has an outside space. 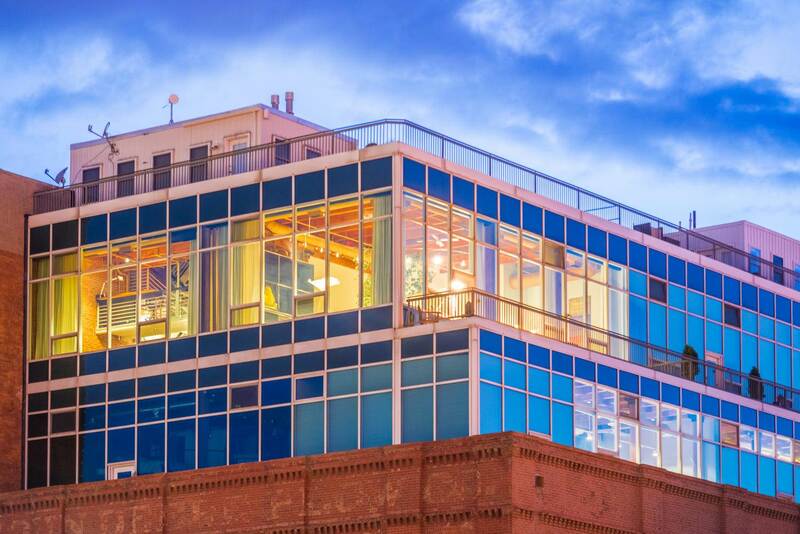 "An exceedingly rare oasis, the upper level terrace offers an escape from everyday stressors, a place to entertain, urban garden or simply enjoy a nightcap & the views," LIV Sotheby's said. 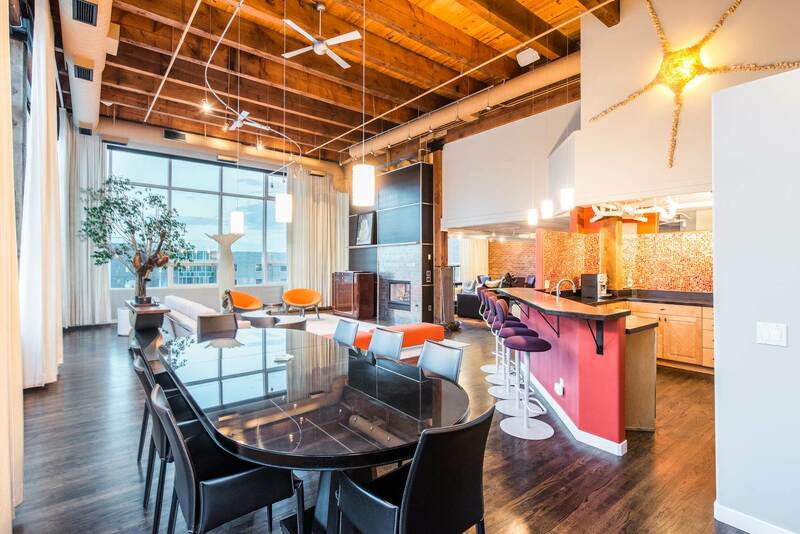 The condo at 1153 Auraria Parkway is listed at $1,950,000. Learn more on LIV Sotheby's International Realty's website . Thank you to LIV Sotheby's for sharing these photos.